Welcome to a Foodies Guide To Merchant City showcasing some of the best restaurants to eat in and around the neighbourhood. 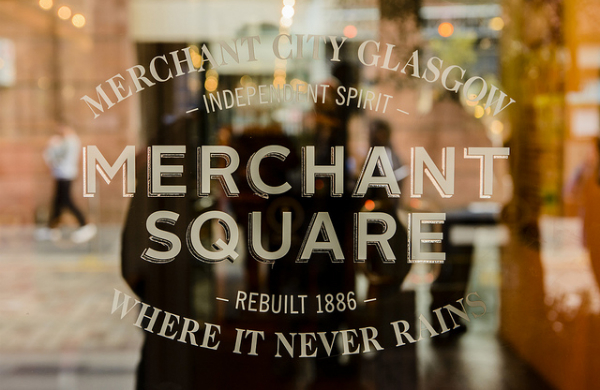 Merchant City has a wonderful eclectic mix of dining options ranging from Mongolian to Traditional Scottish not to mention a bustling night scene at one of the many bars and clubs. Guy’s offers a truly international dining experience all while utilising great Scottish produce. Located in the heart of Merchant City, Guy’s is a place where you can dine on sushi one minute and wild highland venison the next - truly encompassing local and international cuisine. The traditionalists are well looked after with MacSween’s haggis with clapshot and whisky sauce, whereas the more adventurous taste buds could quite happily dine on tuna & scallop sashimi with pickled plums and ponzu sauce. Guy’s has recently branched out and opened The Wee Guy’s Café on Cochrane Street offering breakfast and lunch to the masses. Using the same top quality ingredients as in the main restaurant, once you’ve tasted the food, it’s quite easy to see why Guy’s is one of the best restaurants around. My must have dish? rack of Highland lamb. Delightful. At Central Market there is truly something for everyone, as a relative newcomer to the thriving area, it has already won high acclaim obtaining an AA Rosette and being part of The Michelin Guide. Truly impressive for a restaurant just shy of it’s first birthday. This contemporary Scottish restaurant’s ethos is to let the produce do the talking in a relaxed laid back atmosphere - whilst having an open kitchen and minimalist but classy interior. Breakfast is catered for with favourites such as eggs benedict and French toast. Starters include daring dishes like Iberico pig cheeks (not as scary as it sounds, they are delicious!). For main course, the menu is small but bursting with a combination of flavours to tickle all taste buds. My standout dish? Venison with pickled wild mushrooms, neeps and a red wine vinaigrette. Citation is housed in a stunning building which was once the old sheriff court and to me, is consistently one of the best restaurants in Glasgow. When people go to Citation, they are met with a glamorous cocktail bar and I sometimes wonder if they realise that on the top floor, a hidden gem exists. Main courses include traditional favourites such as beer battered haddock with hand cut chips. The menu has a strong French influence with moules mariniere and braised short rib of beef bourguignon. Grill favourites are also available including prime steak burger, poussin, fillet steak and lobster thermidor. My favourite on the menu? tarragon chicken on potato gratin followed by desserts. All of them. You won’t be disappointed. Merchant City is lucky to house one of the best seafood restaurants in Scotland with Gandolfi Fish and is a firm favourite of mine. Dishes such as Isle of Mull scallops with Stornoway black pudding and monkfish skewers served with chilli and coconut sauce for starters, impress you on the first bite. For main course, fresh langoustines simply grilled with butter are the real deal - a tad messy but one dish not to shy away from. Gandolfi even has a ‘chippy’ (fish to go) next door with traditional favourites beer battered haddock and cod to the more ‘exotic’ oysters, scallops and whole or half lobster. For me, this restaurant is the epitome of seafood dining in Glasgow and one not to miss. Dishes to definitely order? grilled langoustines or salmon wellington. 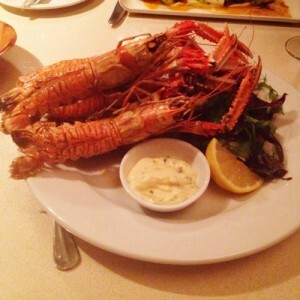 Check out our deals for restaurants in Glasgow. Michelle Muirhead shares her love of food on her lifestyle blog, Ananyah. Michelle’s food journey started with her upbringing in Singapore and Kuwait, and is still going strong back in Scotland, which is home to great produce and an eclectic mix of food venues in itself. She was selected to be a BBC Good Food Show Official Blogger and can be found either locked away in the kitchen experimenting with flavours and spices or out discovering new places to dine. If she is not blogging, she tweets away at @ananyah, annoying her follower’s one food photograph at a time.